With a bit of patience and feline luck, I received a sample of the Shozy x AAW Hibiki Special Edition in the mail, thank you Shozy for this beauty. Opening the package wasn't easy but not as hard as looking away from the faceplate, the (now) familiar purple faceplate design was replaced with this (for me) even pretier blue! *Ehem* as I pried my eyes away from the shell, I replaced the stock tips with my standard Symbio W tips after taking some pics and started to listen on my WM1a. 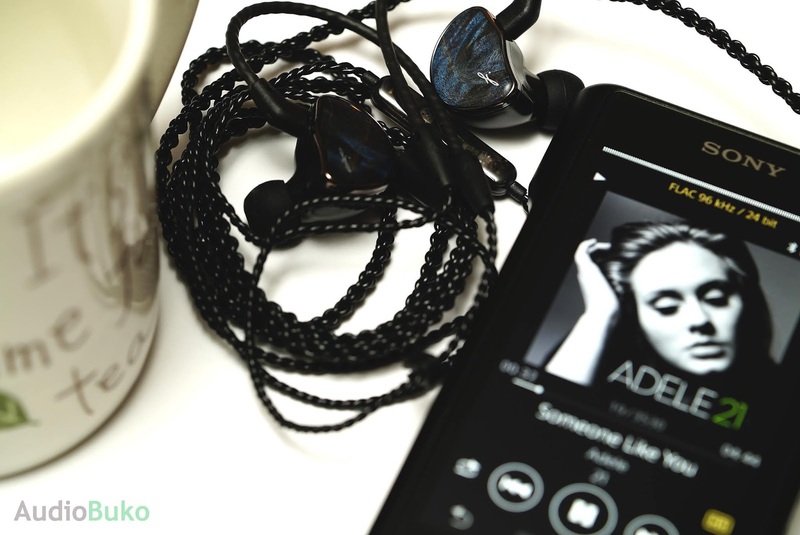 First lucky song was Adele's Someone Like You, with the piano intro playing you can gauge it's distance and general location while hearing each note play out in a rather meaty or thick manner that is unmuddied and full of natural sounding persistent vibration from each key pressed. Then Adele's 'trademark' vibrato starts and details fill my ears with her emotive singing and rather thick vocals cooing in my ear. The dynamics are pretty wide with the softest sound I can hear from her voice to her loud high notes which made me feel the playful rhythm of her voice and music. Next was Get Lucky, and the first thing that greets my ear is a earful of bass slam. Yep, this is basshead territory, and the Hibiki SE delivers it well without killing my soul (thank you for sparing me). Accompanying that slam though was a treble placed cymbal-like hit that doesn't go unnoticed, it didn't sound very high reaching but it was clear and distinct along with the bass sound. Subsequent parts of the intro have repeated bass hits that will hammer satisfaction in each beat, while the guitar riffs play along intermittently, teasingly with a lightly crispy crunchy sound. The male vocals here sounds rather thick, not really unexpected and this gives a nice, smooth and musical presentation. There is a bit of a recession in the male vocal placement here but I'll avoid saying it's 'V' shaped as I don't hear it as really dipped down. A Long Way to the Top by AC/DC crunches those strings into my ears lovingly while the drum beats under my ear like a palpable reminder "the bass is here", the warmth and thickness carries over the male vocals here as well and they sound much the better for it. When the bagpipes start to blast it's high notes, it lets me know that the treble is at a moderately reaching height that sounds natural without that rolled off feeling, definitely nothing harsh or fatiguing here. As much as I'd like to go through more songs and figure this lil gem out, I'll leave that kind of analysis in my formal review. 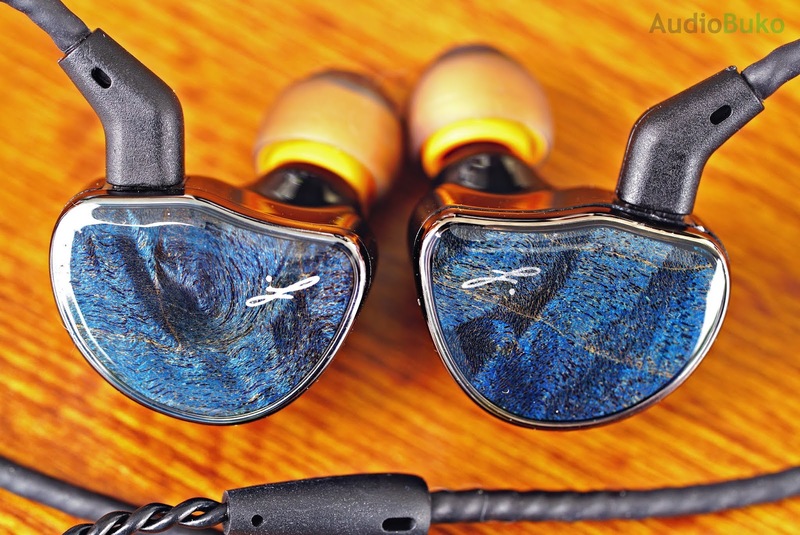 For now, I can say the Hibiki SE is a good bassy IEM with mids and treble in a more balanced presentation. So far there is good detail retreival and separation, and the stage is of a good width which adds up to a musical IEM. See you then.